Is U.S. Detention Policy in Iraq Working? On December 31, 2008, the United Nations mandate for Multi-National Force-Iraq, which has authorized the presence of foreign troops in Iraq since 2004, will expire. While troop levels and future U.S.-Iraq cooperation dominate debate, the future of coalition detention operations in Iraq is as important. The reform of detainee operations in Iraq has been one of the most important, and least reported, contributors to the past year's reduction in violence. Detention facilities, once viewed by military commanders as a strategic backwater, today are viewed as an integral part of the coalition's successful counterinsurgency strategy. The coalition now uses detention facilities to learn why Iraqis join the insurgency so that the insurgents can be rehabilitated and turned into allies instead of enemies. But such progress is reversible. 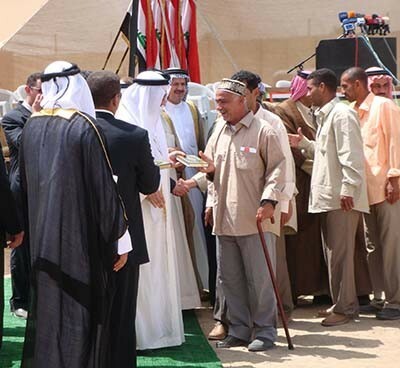 During a June 13, 2008 visit to Jordan, Iraqi prime minister Nouri al-Maliki declared that Iraq "cannot extend the U.S. forces permission to arrest Iraqis or to undertake the responsibility of fighting terrorism in an independent way." The draft text of the U.S.-Iraqi security agreement meant to replace the U.N. mandate has reflected a similar stance. Adopting such an inflexible position is risky. Maliki may be seeking to burnish his image and strengthen Iraqi sovereignty, but the premature transfer of detention authority to Baghdad could unravel many of the gains made. The progress at stake in detention in Iraq may surprise. After all, it was only four years ago that images of U.S. soldiers' abuse of prisoners at Abu Ghraib caused a media sensation. Overnight, the prison became a symbol for what many critics believe to be a botched and illegitimate occupation. The photos not only robbed the United States of moral legitimacy but also did more to undercut the U.S. counterinsurgency effort than perhaps any other incident in the post-invasion period. Indeed, it is doubtful that Sunni insurgents have enjoyed a more effective recruiting tool than the Abu Ghraib scandal. In the aftermath of Abu Ghraib, the Pentagon conducted a number of investigations. Most, if not all, failed to probe beyond the "close fight" in detention—procedural matters related to interrogation, care and custody, and the coalition's day-to-day interactions with its detainee population. None identified the "deep fight" in which detention represented a contested battleground where victory would be indispensable to successful counterinsurgency and winning the broader war of ideas in Iraq. The March 2004 military inquiry led by Maj.-Gen. Antonio M. Taguba was a case in point. Though more inculpatory and far-reaching than other Pentagon investigations, the report only scratched the surface of what military commanders would later come to recognize as the "battlefield of the mind." In its analysis of what went wrong, the report reserved the brunt of its criticism for problems such as inadequate corrective training and muddled chains of command. Only in passing did it acknowledge that the abuses partially arose out of the military's inability "to identify and segregate leaders in the detainee population" who may be organizing escapes or riots. In his statement to Taguba, Capt. Donald J. Reese, the warden at Abu Ghraib's cell box complexes at the height of the abuses, went further and confirmed that little consideration went into segregating detainees. Reese said that, although the cell boxes were meant for convicted criminals and high-value security detainees, the site was a "hodgepodge" that often housed civilians, juveniles, and the mentally infirm. Even then, the report did not explore the implications of the coalition's failure to understand and safeguard those in its custody—a failing that, from 2003 to early 2007, would preclude the successful conduct of detention. While the Abu Ghraib scandal drew widespread condemnation, few significant changes resulted from the criticism. Aside from tighter restrictions placed on military police, improvements in custody and care, and the creation of a task force to consolidate command and control over detention in Iraq, there were no wholesale changes. Doctrinally, coalition leaders continued to treat detention as a warehousing operation, little more than a repository for insurgents and militiamen rounded up on Iraq's streets. Despite indications that coalition practices were still sending released detainees back into the fight, the traditional view of detention as an exercise in "intake, interrogation, hold, and release" remained unchallenged. The failures of the coalition's detention practices manifested themselves less than a year after the April 2004 revelations at Abu Ghraib. On January 31, 2005, riots at Camp Bucca, the largest coalition detention facility in Iraq, prompted guards to shoot and kill four detainees. Maj.-Gen. William Brandenburg, then the commander of coalition detention in Iraq, acknowledged that the conditions at Camp Bucca and other internment facilities had become untenable. "What happened here on January 31 has changed the dynamics" of running detention, he said. "It also showed that we have to do a better job of understanding who we have in detention." But while military commanders awoke to the possibility of an insurgency "inside the wire," the situation at Bucca continued to degenerate. Two months after the January riot, the 105th Military Police Battalion, then responsible for the facility's day-to-day management, uncovered a fully-excavated 357-foot-long tunnel hours before detainees had planned to escape. The discovery came against the backdrop of an environment in which extremists ruled compounds by fiat and dispensed Shari‘a-like justice to those who did not abide by their diktat. Incidents of detainee-on-detainee violence spiked; hardliners meted out physical punishment to those who bucked their "rules." In an effort to cement their control over the compounds, Al-Qaeda ringleaders and veteran Shi‘ite militiamen organized lessons in Qur'anic recitation and Islamic jurisprudence to indoctrinate detainees and bring them under their sway. Col. James B. Brown, the commander of the Eighteenth Military Police Brigade, which oversaw Camp Bucca until February 2008, was one of the first U.S. Army commanders to articulate the dynamics at play inside detention facilities. "In a prison, there is a feeling that the war is over for you, and it is over for me. We will chitchat at the fence and get through this together. Nothing could be farther from the truth. [In Bucca], the war is not over at all," he said in August 2005. Brown was correct: Camp Bucca was not just a holding pen but an integral battlefield in the insurgency. Until early 2007, no illusion dominated the U.S. military's thinking about detention more than the belief that the threat posed by Al-Qaeda and other insurgents would be neutralized upon arrest. For much of the military leadership, the fight ended inside detention. This mentality—that detaining Iraqis caught in large, dragnet-type security sweeps would quickly suppress insurgent violence—was prevalent among battlefield commanders concerned with the capture and release of insurgents. Such an outlook also seemed to dismiss detention as a place where a hearts-and-minds-style counterinsurgency effort could augment kinetic operations; most, if not all, detainees were considered beyond rehabilitation. Perhaps no one embodied this mindset more than Gen. Raymond T. Odierno, the current commander of Multi-National Force-Iraq. Odierno, whose 4th Infantry Division had a reputation for heavy-handed tactics in 2003-04, displayed such an animus to detainee releases during this period that Brig.-Gen. Barbara Fast, the top army intelligence officer in Iraq at the time, described his attitude as being "‘We wouldn't have detained them [in the first place] if we wanted them released.'" The corollary of this approach, of course, was overcrowded facilities. In June 2005, the detainee population stood at 10,783, up from 5,435 just a year before. By February 2006, the number swelled to 14,767. With the coalition loath to transfer inmates to appalling Iraqi-run prisons, the rapid influx of detainees—some of whom were innocent or held little to no intelligence value—strained the military's capacity to interrogate and exacerbated its inability to identify malefactors and curtail their access to the broader population. In June 2006, senior U.S. military commanders began to sound the alarm. They warned that the flood of detainees would transform coalition facilities into "jihadist universities"—terrorist incubators where Al-Qaeda loyalists could train, network, and replenish their depleted ranks. Already, many detainees who had been brought in innocent were walking out radicalized. The boomerang effect created by a policy that treated detention as a strategic irrelevance would not become fully apparent until early 2007. That January, President George W. Bush ordered a surge in U.S. forces, deploying an additional five combat brigades to Baghdad. While the troop increase helped pacify the capital, it caused an explosion in the detainee population. By April, the combined population at Camp Bucca and Camp Cropper—the only two coalition detention facilities in Iraq following Abu Ghraib's closure in August 2006—ballooned to 20,000, a figure that would ultimately peak at nearly 26,000. When mass riots involving up to 10,000 detainees rocked Bucca the next month, the situation inside one of the world's largest detention centers had reached its breaking point. Detainees, armed with makeshift weapons and brandishing banners reading "You Die" and "Death to American MPs," lit tents on fire and plotted to kidnap and kill members of the guard force. Incoming detention commander Maj.-Gen. Douglas Stone considered using deadly force to restore order. "We had a panic meeting here, and someone came up with the idea to electrify the fence. I mean, that's where we were," he recalled this spring. The riots would prove to be the impetus for a radical reformation of detainee operations. With Bucca in shambles, the new command of Task Force 134, the outfit charged with overseeing coalition detainee operations, staked out a new strategy intended to incorporate detention into the broader U.S. counterinsurgency strategy. This would hinge on a strategy that sought to segregate extremists, nurture moderates, and ensure first-rate care and custody for every detainee. This approach also had a wider target audience: the detainees' web of relatives, friends, and tribesmen who were directly affected by their internment and who, by some estimates, included a half-million Iraqis. Abu Ghraib, predictably, had turned these and other Iraqis against the coalition, creating fertile ground for insurgent recruitment. But the military soon came to understand that this network held out as much promise as it did peril—that, if conducted with dignity and respect, detention could trigger a cascading effect that would help turn the tide of public opinion. The U.S. Army counterinsurgency field manual, released in December 2006, provided some of the inspiration for this doctrinal shift, but it did not give concrete recommendations for improving detention practices or marginalizing extremism "inside the wire." In addressing the latter phenomenon, the task force leadership instead drew on several de-radicalization programs in the Muslim world, with Saudi Arabia and Indonesia perhaps the best known templates, and solicited advice from former detainees familiar with extremist recruitment practices. The military realized that the point of departure for any successful reform would be its ability to detect and segregate irreconcilables—those incorrigible detainees bent on upsetting the apple cart and imposing their extremism on others. Although detainee assessments were administered under Maj.-Gen. John D. Gardner, Stone's predecessor, they were significantly expanded following Gardner's transfer of authority to Stone. The task force figured out that it was in detention, more so than in the alleyways of Baghdad, where the worlds of coalition and insurgent forces met. To capitalize on this interaction, the task force employed psychologists, teachers, social workers, and Iraqi imams to paint a rough sketch of each detainee's background, including their religiosity, education, skills, work history, and general motivation. The evaluations have since assisted not only in the physical placement of detainees—those deemed extremist are now quarantined in modular housing units—but have also proved instrumental in shaping the military's innovative reintegration programs. In conjunction with the psychological assessments, surveys of detainees reaffirmed the potential for their rehabilitation. Many detainees, it turned out, were not avowed jihadists but Iraqi civilians spurred on by pragmatic considerations. Research commissioned by the task force revealed that in a majority of cases, a confluence of factors contributed to the average detainee's arrest, such as illiteracy, fear of reprisal, underemployment, and the enticement of cash. Family demographic studies also helped to explain why otherwise law-abiding citizens gravitated toward the insurgency: 63 percent of detainees were married, 79 percent had children, and the overwhelming majority lived with their extended family. For those detainees who acted as family breadwinners, the allure of $200-$300 a month in supplemental income—Al-Qaeda's average recompense for planting a roadside bomb—was simply too strong to resist. Armed with this knowledge, the task force set out to counteract these motivations and provide detainees with an alternative to joining the insurgency. Education, vocational, and enhanced family visitation programs formed the backbone of the military's efforts, filling a void previously exploited by extremists. In August 2007, the military set up Dar al-Hikma (House of wisdom), an education center accredited by the Iraqi Ministry of Education. The school, which is open to both juveniles and adults and offers a core curriculum of Arabic, English, math, science, civics, and geography, has turned into an unequivocal success: On a number of occasions, detainees have postponed their releases to finish studies, and parents without detained children have petitioned to enroll their kids in the program. Perhaps the education programs' true center of gravity lies in the Islamic discussion program. There, vetted Iraqi clerics employ a moderate exegesis of the Qur'an to encourage debate and refute extremist arguments. Ironically, most insurgents are not devout. Polling of the population has revealed that, prior to detention, more than 70 percent of detainees were not fastidious mosque-goers; in fact, 36 percent had never even set foot in one. On other questions about piety, responses did not reflect stringent or immoderate beliefs. Even mid-level members of Al-Qaeda and the Shi‘ite Mahdi Army at times exhibited few signs of religious fervor. On the surface, such information would seem to render moot the utility of such a program. But it does not. Al-Qaeda has long used a perverted interpretation of the Qur'an to proselytize among secular, illiterate, and disenfranchised Iraqis. But for those who do not arrive in detention possessed of religious fervor, the program still has merit, both in its ability to reduce future susceptibility and to encourage independent thinking. A number of imams who led the juvenile Islamic discussion program attested to this fact, telling this author that the program unlocked adolescents' minds and made them less vulnerable to brainwashing upon release. Detractors such as Andrew K. Woods, a Hauser fellow at Harvard Law School, suggest that such education smacks of propaganda or religious proselytizing. But the program does not attempt to teach religion or replace one ideology with another—after all, many new detainees possess only a rudimentary, if not superficial, understanding of Islam. Rather, it is designed to enable them to read and then to interpret religious texts on their own. The results can be poignant: Detainees have often wept and even become suicidal, upon discovering that the actions they once thought condoned by Islam were actually sacrilegious. The discussions have been so effective in exposing Al-Qaeda's moral bankruptcy that the group's leadership has specifically braced its members for such measures. In a videotape released last fall, Abu Yahya al-Libi, a rising figure in the organization, sought to reassure followers that those who had recanted violence had done so under duress. The military's attempt to defeat extremists off the battlefield has extended beyond simple education programs. Vocational and pay-for-work programs have aided the assimilation of insurgents into Iraqi society. Designed to teach job skills and aid in Iraq's reconstruction, the voluntary programs have allowed detainees to acquire expertise in trades such as carpentry, masonry, welding, and textile manufacturing. For detainees once unprepared to compete in the job market, the vocational training has offered them yet another powerful incentive to refrain from violence. With the military's new understanding of the important role that families play in a person's decision to join the insurgency, the task force revamped its visitation process to help curb recidivism and make relatives a more integral part of the rehabilitative effort. The visits—more than 2,000 now take place per week—have also served to humanize coalition forces and allow detainees to provide their families with much needed earnings from the pay-for-work programs. The new initiative, though, has not been without its challenges. Although 85 percent of those in detention are Sunnis with many hailing from the hinterland of western Iraq, the detention facility at Camp Bucca is located in the heart of the Shi‘ite south and is not readily accessible to the majority of detainee families. In fall 2008, the military hopes to bridge the divide when it plans to open a quasi-detention center in Taji, a predominantly Sunni city located west of Baghdad. This so-called theater internment facility reintegration center will provide additional work, education, and family advocacy programs, and thereby act as a way-station for those who are neither quite ready for release nor suited for continued lockup. As of October 2008, though, the center is still not operational. The litany of engagement programs offered by the coalition is, of course, a means to an end. The hope is that moderate detainees can be safely released without representing an imperative threat to security—the U.N. mandate's lone criterion for the internment of Iraqi citizens. But the military is hoping for much more: that those released from detention will go back to their communities and serve as agents for positive change. Some actually have, returning to lead mosques once firmly controlled by extremists. Though rare, some detainees remain wedded to their insurgent ideology and feign rehabilitation simply to win release while others may seek retribution no matter what their experience in detention. There will always be some recidivism. Another means by which the coalition detainee system has been improved is through a new release process. Prior to mid-2007, a simple paper review served as the coalition's last line of defense in preventing dangerous insurgents from reemerging on Iraq's streets. Although compliant with Geneva Convention obligations, the release process, in which a magistrate cell and joint U.S.-Iraqi review board combed through each detainee's file within three months of detention (and every four to six months thereafter), was opaque and counterproductive. Ninety percent of reviews resulted in continued confinement, and those detainees who did gain their freedom often emerged from detention embittered, having been confined for years without ever going before a panel. By 2007, the coalition's re-internment rate exceeded 9 percent, the high-water mark for the war. Part of the problem had its roots in the nature of coalition security practices, in which the apprehension of individuals lent itself—and continues to lend itself—more to the "probable cause" standard than to the collection of prosecutable evidence. This is not to suggest that most detainees were scooped up indiscriminately but rather that the body of evidence upon which their capture rested was unlikely to withstand further review in an Iraqi court. The upshot was a meager 10 percent adjudication rate in the Central Criminal Court of Iraq. Complicating matters was the fact that the coalition had never seen itself as the arbiter of guilt or innocence in Iraq. In a war zone, there was little time or place for detective work. Still, it became apparent that the coalition needed a way both to expedite case processing and to infuse a greater sense of due process into its review hearings. In mid-2007, the coalition created the Multi-National Force Review Committee (MNFRC), a three-member military review board that convened on a rolling basis and afforded detainees an opportunity to present their side of the story in person. Though it failed to assuage human rights advocates—the MNFRC still did not grant detainees access to legal counsel—the interactive panel immediately proved its efficacy. It provided the coalition with a treasure trove of information about insurgent networking and financing at the same time as it also allowed detainees to better understand why they were being held, and what they could do about it. Good behavior and enrollment in voluntary programs, they learned, correlated to increased prospects for release. But the larger question of how to ensure that detainees would not simply view participation as a get-out-of-jail-free card remained unanswered. A partial solution came in the form of a pledge and guarantor program. The idea, which evolved out of a 1957 Iraqi law, called on those slated for release to go before an Iraqi judge and take an oath to keep the peace. With deceit an obvious concern, the military required detainees to select guarantors who would be legally liable for their conduct. However, this formula soon presented an unforeseen problem: Local sheikhs, frequently asked to sign on the dotted line, often viewed the program as a vehicle to increase their prestige and tribal authority. As a result, they often exercised little discretion in vouching for detainees. U.S commanders instead sought greater family involvement in the process. A detainee's relatives, they concluded, had far less incentive to give their word if they knew a family member would revert to violence. The cumulative effect of such efforts has been a whittling down of the detainee population: Roughly half of all detainees are now recommended for release, a five-fold increase over the pre-MNFRC process. More importantly, the right people are now receiving their release papers. Of the more than 15,000 detainees released between January 2008 and September 2008, only about one hundred were re-interned. While recent months have witnessed an uptick in the number of re-captures, the revised review system, like all of the coalition's reforms, no doubt represents an improvement over what existed before it. If today there is a broad consensus among U.S. military leaders, Iraqi government officials, and even human rights organizations that the situation inside coalition detention facilities has undergone a remarkable turnaround, there is less unanimity over the long-term prospects of the transformation. Among academics and terrorism experts such as Marc Sageman, there is widespread sentiment that the reforms instituted over the past year, no matter how well-intentioned, may amount to little more than a band-aid approach that treats the symptoms of extremism rather than its causes. Similar arguments have been made by skeptics of the Sunni Awakening, the paramilitary forces that recoiled against Al-Qaeda and now collect Iraqi state salaries to keep the peace. Of course, the jury remains out over whether such skepticism is warranted. Not even the military claims to know whether the reforms at Cropper and Bucca will effect a long-term improvement in Iraqi security. But questions like these take a back seat to more pressing concerns, namely what to do with the thousands of Al-Qaeda members and Takfiri adherents (literally, those who declare other Muslims apostates) in coalition custody who are irredeemable and will need to be held indefinitely. Their ultimate fate, like the balance of the detainees who will remain at year's end, is uncertain and largely depends on whatever deal Baghdad and Washington strike before the U.N. mandate expires in December. Therein lies much of the U.S. military's concern. While U.S. officials are, in principle, not opposed to relinquishing control over detainee operations as a step toward greater Iraqi sovereignty, in practice, they know that such a handoff is fraught with danger. For starters, there will be disagreement between the two parties over which detainees pose an enduring threat. From a logistical perspective, however, the issue of manpower will be more problematic. Although the U.S. Justice Department is now training two thousand Iraqi corrections officers (twice that of the current force), that number will fall far short of what is required to manage day-to-day operations at Cropper and Bucca, where over 9,000 U.S. personnel work under the aegis of Task Force 134. Put in the context of Iraq's 2008 amnesty law,  the consequences of such a labor shortage could prove acute. Though the legislation applies only to the roughly 25,000 individuals in Iraqi-run jails, Iraqi lawmakers have pushed to extend its reach into coalition facilities. In the absence of sufficient personnel, it is conceivable that Baghdad, while not opening the floodgates, could choose to wipe the slate clean for thousands of un-rehabilitated detainees. As unpalatable as that scenario may be, the transfer of coalition detainees to the Iraqi government could be even more problematic. Notorious for overcrowding and abuse, Iraq's disparate prison system—the ministries of interior, defense, and justice all maintain separate facilities—has long been a bastion of sectarianism. Placed under the authority of predominantly Shi‘ite Iraqi keepers, coalition detainees could face torture and maltreatment, a prospect that raises not just ethical questions but legal ones as well. The U.N. Convention against Torture, of which the United States and Iraq are both signatories, prohibits refoulement, the practice of extraditing individuals to places where there are substantial grounds to believe persecution will occur. Just how the United States and Iraq should navigate this problem is unknown, but a reprise of Abu Ghraib, even one in which U.S. forces are seen to play a secondary role, could breathe new life into a dying insurgency and fan sectarian flames. To be sure, such a dilemma is not far-fetched. With the December 31, 2008 deadline for a deal approaching—and hopes that a security agreement will win quick Iraqi approval fading—U.S. negotiators seem poised to acquiesce to rigid Iraqi demands. Indeed, a draft version of the accord circulated in October 2008 prohibits coalition forces from detaining individuals without an Iraqi arrest warrant; requires them to hand over detainees to Iraqi authorities within twenty-four hours of their detention; and calls for the "release of all detainees in U.S. custody in a safe and orderly manner." While other provisions in the agreement are likely to be renegotiated at Baghdad's behest, at present, the clauses governing detention no longer appear to be a point of contention. Of all the issues up for negotiation between Baghdad and Washington, few dramatize the tension between the need for stability and the need to bolster Iraqi sovereignty more than detainee operations. Coalition detention, once a liability to the war effort, has today become a potential strategic advantage. The revolution inside coalition internment facilities, long considered a sideshow to the broader mission in Iraq, has not only helped to solidify the gains of the surge but has also provided a paradigm for projecting the soft-power side of counterinsurgency. If detention has made significant strides, though, few things seem to grate against the concept of a sovereign Iraqi state more than the internment of Iraqi citizens by a foreign force. It should be of little surprise that both sides staked out a firm negotiating position in this regard. While the United States pressed to retain the authority to detain at will, the Iraqi government, emboldened by recent military success and eager to tout its national credentials, vowed to assert greater autonomy over detention. If the proposed security deal is any indication, the Iraqis will appear to have gotten their way. But while compromise has been hard to come by, reality should still dictate a middle-of-the-road accommodation, not a wholesale transition to Iraqi authority in 2009. What this would mean exactly is unclear, but at a maximum, the contours of such a deal should allow the Iraqis to intern and hold onto only some of those the coalition judges to be an imperative threat to security. Any greater concession on the part of the United States in the near term will be both premature and damaging to the U.S. and Iraqi security effort. Jeffrey Azarva is a research fellow at the American Enterprise Institute. He recently spent three months in Baghdad studying coalition detainee operations. The Washington Post, July 24, 2006. See provisional text of U.S.-Iraqi security pact, As-Sabah al-Jadid (Baghdad), Oct. 19, 2008. Article 15-6 Investigation of the 800th Military Police Report (The Taguba Report), Mar. 2004. Capt. Donald J. Reese, company commander, 372nd Military Police Company, former warden, Hard Site, Abu Ghraib Prison, sworn statement, Jan. 18, 2004. The Washington Post, Feb. 21, 2005. The Washington Post, Aug. 24, 2005. Thomas E. Ricks, Fiasco: The American Military Adventure in Iraq (New York: Penguin Press, 2006), p. 239. Los Angeles Times, June 26, 2005. The New York Times, Feb. 15, 2006. E-mail correspondence between author and Maj. Eric Dill, executive officer, Task Force 134 (Detainee Operations), Multi-National Force-Iraq, June 25, 2008. Andrew K. Woods, "The Business End," Financial Times, June 27, 2008. The Washington Post, Sept. 19, 2007. Mason Brooks, Detainee Background and Motivation Assessment, Institute for Defense Analysis (Alexandria, Va.), briefing for commanding general, Task Force 134, Baghdad, June 2007. Maj.-Gen. Douglas Stone, former commanding general, Task Force 134 (Detainee Operations), Multi-National Force-Iraq, news briefing, U.S. Department of Defense, Pentagon, June 9, 2008. The New York Times, June 2, 2008. RAND Corporation, "Detainee Motivation and Morale Survey" (prepared for the commanding general), Task Force 134 (Detainee Operations), Multi-National Force-Iraq, Baghdad, fall 2007. Author conversations with Maj.-Gen. Douglas Stone, former commanding general, Task Force 134 (Detainee Operations), Multi-National Force-Iraq, Baghdad, Mar. 2008. National Public Radio, June 30, 2008. Asharq al-Awsat (London), Mar. 24, 2008. Author conversations with Maj.-Gen. Stone, Baghdad, Mar. 2008. Author conversations with juvenile detainee instructors, Baghdad, Mar. 5, 2008. Andrew K. Woods, "Good Muslim, Good Citizen," Slate, July 3, 2008. The New York Times, Apr. 4, 2008. Maj.-Gen. Douglas Stone, commander, Task Force 134 (Detainee Operations), Multi-National Force-Iraq, news briefing, Baghdad, June 1, 2008. E-mail correspondence between author and Matthew Reynolds, advisor to commanding general, Task Force 134 (Detainee Operations), Multi-National Force-Iraq, Oct. 10, 2008. United Nations Security Council Resolution 1546, June 8, 2004. W. James Annexstad, "The Detention and Prosecution of Insurgents and Other Non-Traditional Combatants—A Look at the Task Force 134 Process and the Future of Detainee Prosecutions," The Army Lawyer, U.S. Department of the Army, July 2007, p. 79. W. Thomas Smith, Jr., "The New Counterinsurgency Front," National Review Online, Sept. 4, 2007. Maj.-Gen. Douglas Stone, news briefing, Mar. 23, 2008. SPC Michael V. May, "Detainee Engagement Making a Difference," Multi-National Force-Iraq, mnf-iraq.com, Feb. 25, 2008. Maj.-Gen. Douglas Stone, speech to 42nd MP Brigade, Camp Bucca, Iraq, Mar. 22, 2008. Maj.-Gen. Stone, news briefing, June 9, 2008. Radio Sawa, Oct. 9, 2008. The New York Post, May 2, 2008. Author conversations with Task Force 134 (Detainee Operations) attorneys, Baghdad, May 8, 2008. See text of Iraq's General Amnesty Law: As-Sabah al-Jadid, Mar. 2, 2008. The Los Angeles Times, July 21, 2007. As-Sabah al-Jadid, Oct. 19, 2008. Related Topics: Counter-terrorism, Iraq, US policy | Jeffrey Azarva | Winter 2009 MEQ receive the latest by email: subscribe to the free mef mailing list This text may be reposted or forwarded so long as it is presented as an integral whole with complete and accurate information provided about its author, date, place of publication, and original URL.